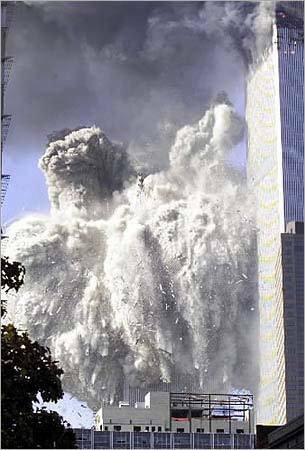 The Obama regime shamelessly issued two sets of documents regulating how to commemorate the 9/11 terrorist attacks against United States. 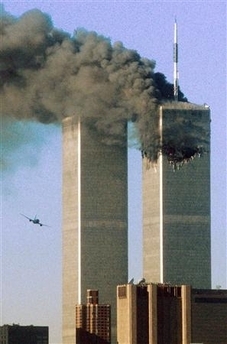 One set of the 9/11 commemoration regulations, entitled “9/11 Anniversary Planning,” is for domestic audiences and highlights Obama's continuing attempts to politicize the 9/11 anniversary as a campaign propaganda tool. The second set of 9/11 commemoration regulations is for foreign audiences. Officials are instructed to memorialize those who died in the Sept. 11, 2001, attacks and thank those in the military, law enforcement, intelligence or homeland security for their contributions since. Officials are to warn that Americans must be prepared for another attack -- and must be resilient in recovering from the loss. Officials are cautioned that commemorations should not cast the United States as the sole victim of terrorism. The tone should be shaped by a recognition that the outpouring of worldwide support for the United States in the weeks after the attacks turned to anger at some American policies adopted in the name of fighting terror -- on detention, on interrogation, and the decision to invade Iraq. We honor and celebrate the resilience of individuals, families, and communities on every continent, whether in New York or Nairobi, Bali or Belfast, Mumbai or Manila, or Lahore or London. Obama should leave his political propaganda and messaging for another day and instead simply join, or actually lead, Americans in a national day of remembrance. Seven former directors of the Central Intelligence Agency urge President Obama to stop Attorney General Eric Holder's politically motivated decision to conduct a criminal investigation of CIA operatives who used enhanced the interrogation techniques. The seven directors; John Deutch, Porter Goss, Michael Hayden, James Schlesinger, George Tenet, William Webster and James Woolsey, tenures span 35 year period, wrote a letter to Obama saying the Holder inquisition will "seriously damage the willingness of many other intelligence officers to take risks ... vital to success in the long and difficult fight against the terrorists who continue to threaten us." The former directors re also concerned about "the serious damage" the Holder inquisitions have done to our ability to obtain the cooperation of foreign intelligence agencies. You can read the entire letter below. In the following video, former Arkansas governor and presidential candidate Mike Huckabee tells Hannity that CIA morale has never been lower. I'm truly fed up with Obama's political retribution dressed up as investigations of the looney left-wing's fanciful allegations of Bush administration war-crimes. Obama tries to have it both ways with his often repeated obfuscation that "we need to look forward as opposed to looking backwards." First Obama refuses to rule out the so-called investigations, then he gives Attorney General Holder the green light to start the show trials. Holder's decision to conduct this inquisition presents a clear appearance of impropriety because there is a record that his mind was made up about this issue long before he became Obama's Attorney General. We have served as Directors of Central Intelligence or Directors of the CIA for Presidents reaching back over 35 years. We respectfully urge you to exercise your authority to reverse Attorney General Holder’s August 24 decision to re-open the criminal investigation of CIA interrogations that took place following the attacks of September 11. The post-September 11 interrogations for which the Attorney General is opening an inquiry were investigated four years ago by career prosecutors. The CIA, at its own initiative, forwarded fewer than 20 instances where Agency officers appeared to have acted beyond their existing legal authorities. Career prosecutors under the supervision of the US Attorney for the Eastern District of Virginia determined that one prosecution (of a CIA contractor) was warranted. A conviction was later obtained. They determined that prosecutions were not warranted in the other cases. In a number of these cases the CIA subsequently took administrative disciplinary steps against the individuals involved. Attorney General Holder’s decision to re-open the criminal investigation creates an atmosphere of continuous jeopardy for those whose cases the Department of Justice had previously declined to prosecute. Moreover, there is no reason to expect that the re-opened criminal investigation will remain narrowly focused. If criminal investigations closed by career prosecutors during one administration can so easily be reopened at the direction of political appointees in the next, declinations of prosecution will be rendered meaningless. Those men and women who undertake difficult intelligence assignments in the aftermath of an attack such as September 11 must believe there is permanence in the legal rules that govern their actions. They must be free, as the Chairman of the Senate Homeland Security Committee, Senator Lieberman, has put it: “to do their dangerous and critical jobs without worrying that years from now a future Attorney General will authorize a criminal investigation of them for behavior that a previous Attorney General concluded was authorized and legal.” Similar deference needs to be shown to fact-based decisions made by career prosecutors years ago. Success in intelligence often depends on surprise and deception and on creating uncertainty in the mind of an enemy. As President you have the authority to make decisions restricting substantive interrogation or any other intelligence collection method, based on legal analyses and policy recommendations. But, the administration must be mindful that public disclosure about past intelligence operations can only help Al Qaeda elude US intelligence and plan future operations. Disclosures about CIA collection operations have and will continue to make it harder for intelligence officers to maintain the momentum of operations that have saved lives and helped protect America from further attacks. Finally, another certain result of these reopened investigations is the serious damage done to our intelligence community’s ability to obtain the cooperation of foreign intelligence agencies. Foreign services are already greatly concerned about the United States’ inability to maintain any secrets. They rightly fear that, through these additional investigations and the court proceedings that could follow, terrorists may learn how other countries came to our assistance in a time of peril. The United States promised these foreign countries that their cooperation would never be disclosed. As a result of the zeal on the part of some to uncover every action taken in the post-9/11 period, many countries may decide that they can no longer safely share intelligence or cooperate with us on future counter-terrorist operations. They simply cannot rely on our promises of secrecy. Greenpeace activists environmental terrorists defaced Mount Rushmore by hanging a sixty-five feet high by thirty-five feet wide banner "featuring" a portrait of President Obama and the political message, "stop global warming." Ghailani's transfer to New York trial is an important first step in the implementation President Obama's decision to close the terrorist detention center at Guantanamo Bay even though we still haven't been told where Obama will put the terrorists when he closes GITMO.